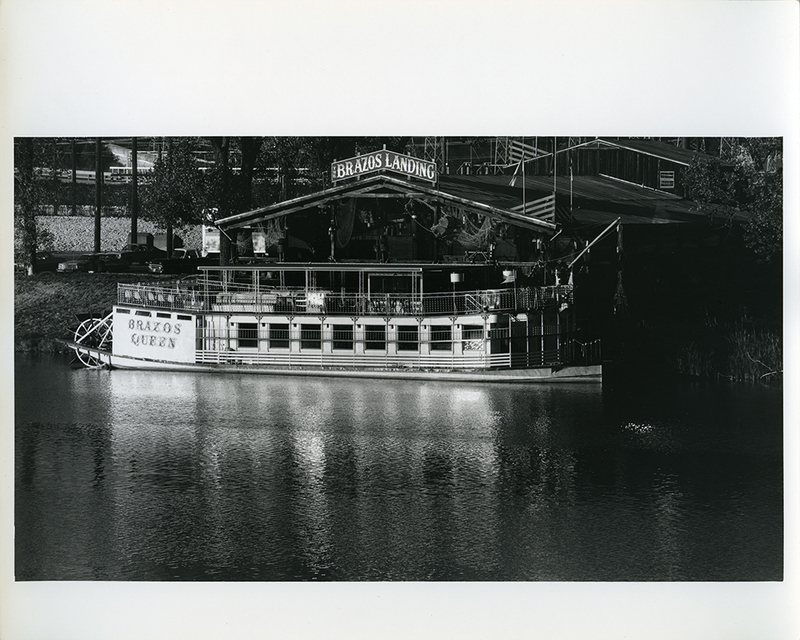 The Brazos Queen is seen parking in front of The Brazos Landing Restaurant on the Brazos River, Waco, Texas. While the Brazos Queen is no longer in service, this establishment is now Buzzard Billy’s. Myron Wood’s photography is very artistic and the contrast in this image makes it quite striking. Myron Wood photographic collection, #3873, Box 1, Folder 13. Myron Wood photographic collection, 1979-1981 (#3873): Have you ever wondered what Waco looked like decades prior? The Myron Wood photographic collections contains photographs of Waco, mainly downtown, and smaller towns in and around McLennan County. Jewish Federation of Waco and Central Texas, 1927-2006 (#2894): The Jewish Federation of Waco and Central Texas collection documents this organization’s extensive good works, including assistance to Jewish families immigrating to Central Texas, support to the Lone Soldier Center in Jerusalem, emergency relief in Ukraine, and assistance to Israeli soldiers. Materials include minutes, financial ledgers, and administrative files. Esther and Martha Leuschner papers, 1912-1987 (#2593): Documents the lives of two sisters: one a mathematics teacher at Waco High School, and the other sister, an employee in Baylor’s registrar’s office. The correspondence, photographs, clippings, and collected materials provide insight into the lives of the Leuschner sisters, who were well-remembered for opening their home to Baylor students for recreation and entertainment. Nina B. Glass papers, 1935-1965 (#1322): Materials include correspondence, programs, and notes about the personal and educational activities of a female pioneer in Texas education. Glass is credited with the founding of the first elementary school library in the United States. This beautiful promotional highlights Weslaco, located in the Rio Grande Valley. 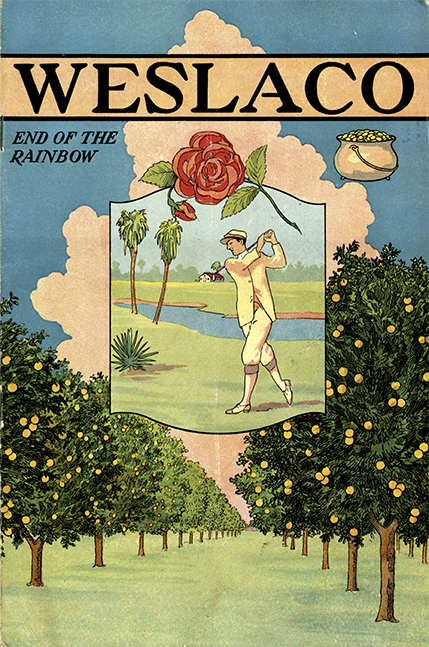 Filled with photographs showing the richness of agriculture, from citrus fruits to cabbage, Weslaco: End of the Rainbow, also provides information about the dairy industry, water, and sporting opportunities. Click here to view in BearCat! Montgomery, Cora. Texas and Her Presidents. New York: E. Winchester, New World Press, 1845. Print. 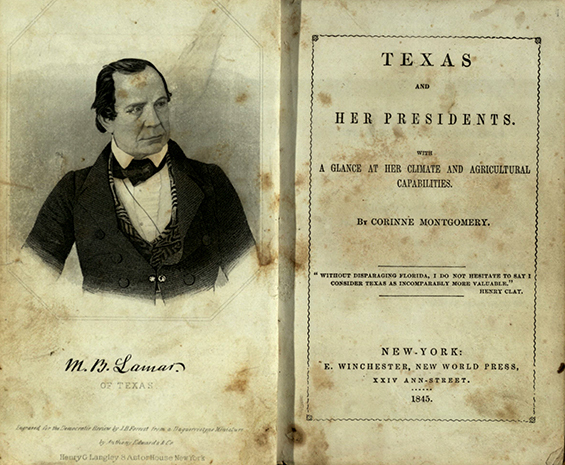 Located at only eight libraries in the world, this exceedingly rare 1845 volume highlights President Mirabeau B. Lamar and President Sam Houston. Also included is an extensive account of several other leaders of the Republic of Texas. Click here to view in BearCat! Wyatt, Kenneth. The Texicans. Amarillo: Trafton & Autry Printers, 1988. Print. Bound in steerhide and leather, this oversized volume, containing 50 color plates, features Texas-centric artwork by renowned artist Kenneth Wyatt. Click here to view in BearCat! As part of their missionary work, the Bagby family founded many schools, such as the Colégio Batista in Porto Alegre, Brazil. 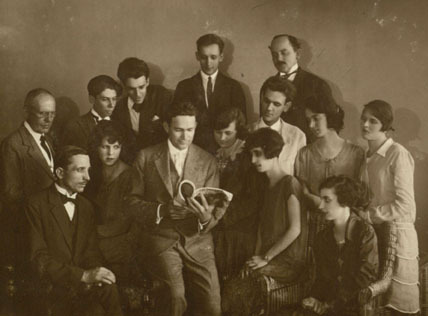 Here Harley and Alice Bagby Smith (center) are pictured with faculty in 1927. P.D. 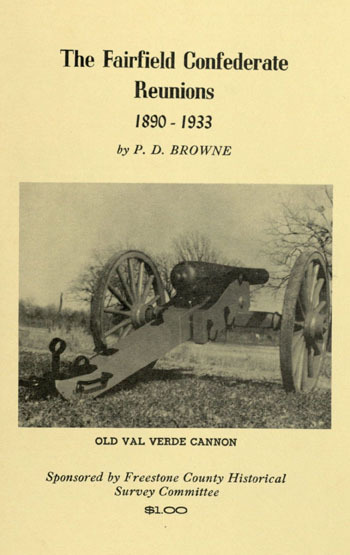 Browne wrote at length about the Val Verde Battery, a Civil War military unit from Central Texas. Browne also wrote a lot about post-Civil War veterans’ reunions in Fairfield, Texas, where he taught school before becoming a professor at Baylor University. P.D. Browne papers, 1860-1986: Materials reflecting Browne’s work for Baylor University, his involvement with Seventh and James Baptist Church, and his research interests in Freestone County, Texas. Luther-Bagby collection, 1821-2001: Consists of correspondence, literary productions, financial documents, photographs, and scrapbooks generated or collected by Luther, Bagby, or Smith family members, primarily pertaining to the Baptist mission experience in Brazil and throughout South America. 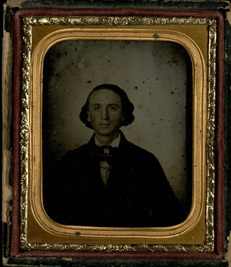 The Barnard-Lane Papers contain materials from many of Waco’s oldest and most influential families, including this daguerreotype of Lawrence Sullivan Ross, a former governor of Texas and brother-in-law of Barnard Lane (found in box 28, folder 7). Gladys Allen papers, 1882-1893, 1913-1952, undated: Gladys Allen was a teacher, served on the Baylor University Board of Trustees, and was a member of Seventh and James Baptist Church. Includes correspondence, personal notes, genealogical research, newspaper clippings, and photographs. Lyrics to “America” manuscript, 1895: This manuscript contains a handwritten copy of the song “America” or, alternatively, “My Country Tis of Thee,” by the composer Samuel Francis Smith. Barnard-Lane papers, 1800-1983, undated: George Barnard was one of the early Waco pioneers. 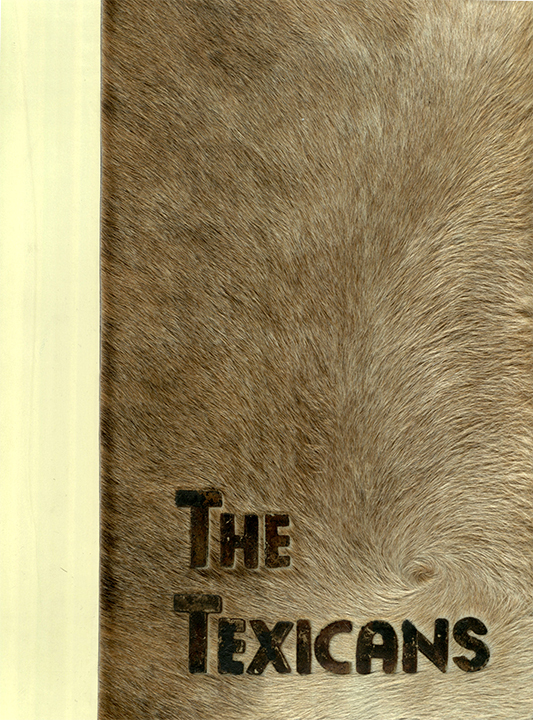 The collection contains personal materials as well as those related to his trading post. Ava Storey and Dixie Anderson Butcher collection, 1903-1998, undated: Contains documents and photographs from the Storey and Butcher family, as well as photographs of the affluent Waco drug store chain, Pipkin Drug Store. Newel Berryman Crain papers, 1858-1948, undated: The Crain papers chronicle the experiences of a young man from Texas during the beginning of the twentieth century, from his time at Baylor through his various jobs and military service. It also includes correspondence from Crain’s grandfather, Newton M. Berryman, about his studies at Baylor University at Independence in 1858.
records and materials from when she was Director of Public Relations at Baylor. [Edcouch] First Baptist Church records, 1941-1974, undated: [Edcouch] First Baptist Church, originally named Los Indios Baptist Church, was organized during the summer of 1924 in Los Indios, Texas. It has undergone a few name and location changes since then. Records consist of manuscripts pertaining to administrative operations of the church. 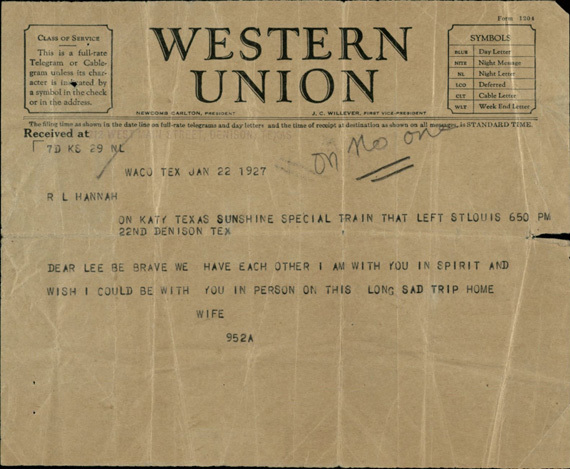 Telegram from Mary Jane Hannah to her husband, Robert Lee Hannah, following the loss of their son, Bob. Bob Hannah was one of what Baylor calls the Immortal Ten who died in a train/bus collision en route to a basketball game in Austin. Hannah-Wiley papers, box 1, folder 5. Hannah-Wiley Family papers, 1909-1930, undated: The Hannah-Wiley Family papers contain correspondence, legal documents, financial documents, and literary production relating to the family of Baylor student Robert “Bob” Lee Hannah Jr., who was one of the “Immortal Ten” who died in a tragic bus/train collision. Independence Baptist Church records, 1873-1918: Independence Baptist Church was one of the first Baptist churches in Texas. Contains one bound minute book that describes church activities, finances, and disciplinary issues from 1873-1918 and also includes a condensed history of the church from 1839-1873. Colonel Chris H.W. Rueter collection, 1927-2004, undated: Consists of correspondence, certificates, postcards, artworks, photographs, and biographical information collected by Baylor alum and WWII veteran Colonel Chris H.W. Rueter and his family. 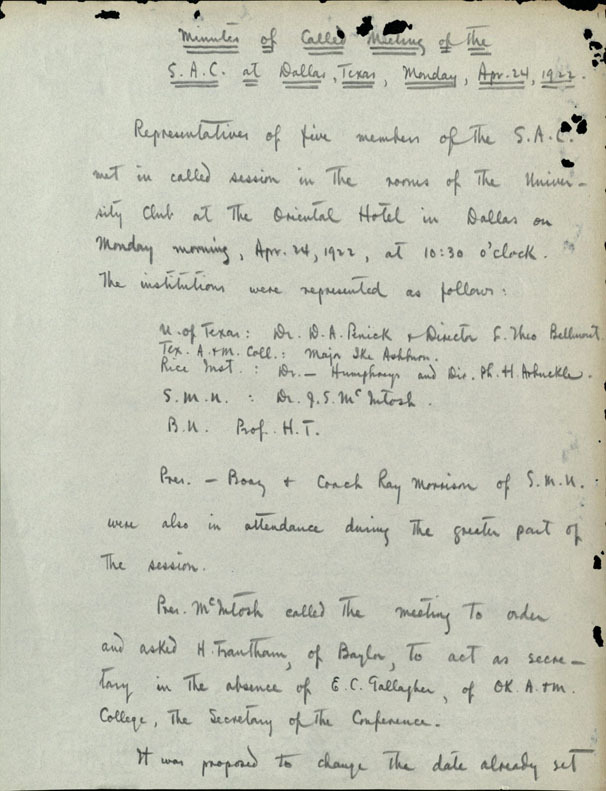 BU Records: Rufus C. Burleson Society, 1900-1919: Documents the operations and activities of one of Baylor’s women’s literary societies that was most active in the early 1900s. James Anderson Slover papers, circa 1907-1913, undated: Copies of a manuscript written by Slover, Minister to the Cherokees: A Civil War Autobiography, describing early family history on the frontier in the United States and Texas. 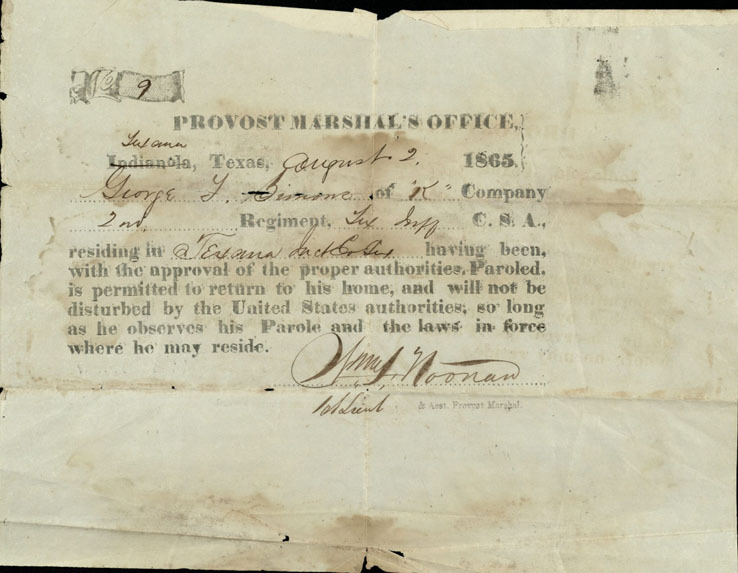 Thurmond-Tramwell Slave papers, 1857: These papers include a document originating from Gonzales, Texas, which gives an account of a legal dispute between Thurmond and Tramwell over an enslaved woman. Frank L. Wilcox Papers, 1923-1966, undated: Contains the personal and professional materials of Frank Wilcox, a former mayor of Waco and the son-in-law of former Texas governor and Baylor University President Pat Neff. During the Civil War George F. Simons served in the Confederate army Company K, 2nd Texas Infantry Regiment, and participated in the Battle of Shiloh. He received this certificate of parole in 1865, which can be found in the Simons-Stoner-Rose Family Papers. Bertie Routh Barron Papers, 1897-1972, undated: These papers contain correspondence, financial documents, literary productions and photographic materials pertaining to Barron’s life, particularly the time she spent at Baylor Female College. Harry Raymond Morse Jr. Collection, 2000: This collection consists of four cassette tapes containing oral history interviews related to the Waco Tornado of May 11, 1953. These minutes are from the papers of Henry Trantham, who served as Baylor University faculty representative to the Southwest Athletic Conference from 1916 to 1923, and from 1925 to 1941. Trantham was the president of the conference from 1918 to 1919, and from 1938 to 1941, and in that position he assisted in the establishment of the Cotton Bowl Association. Charles Wellborn Papers, 1945-2009: This archives contains sermons and other materials primarily from Wellborn’s time as pastor of Seventh and James Baptist Church in Waco, Texas.